Streamline Dental Solutions is staffed by some of the best general dentists in the Blacksburg area. Each doctor has the gentle care approach and knowledge that our patients deserve. Focusing on prevention and early intervention, our care team is committed to ensuring healthy smiles for your entire family. 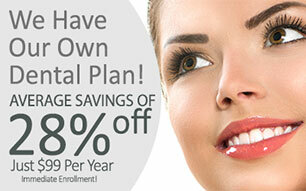 Planning your dental visits ahead of time help you keep your smile healthy. For patients without significant smile concerns, we recommend a checkup and preventive cleaning every 6 months. Patients with a history of dental problems may need to be seen more frequently. These visits allow our general dentists to monitor your oral health and understand specific needs as they relate to you individually. During these appointments we equip our patients with the information and knowledge that they need to care for their smiles and make smart choices about their teeth. Our general dentist office is equipped with new technology and data that each patient needs to make informed decisions about their care. If you are looking for a new general dentist for your family, we invite you to schedule a consultation or new patient visit with Streamline Dental Solutions today.